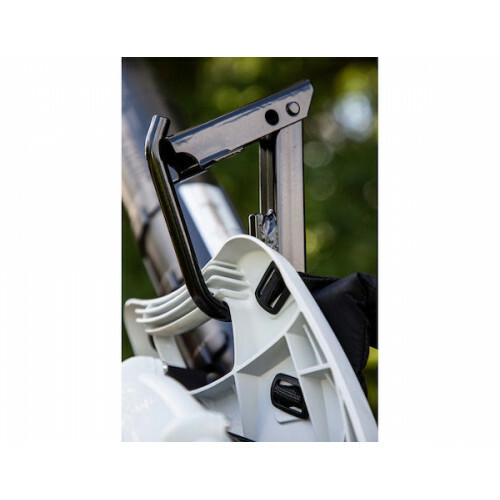 Rack mounts on any style trailer to keep backpack blowers out of the way and easily accessible. Secures backpack blowers onto spring latch hook until ready to use. Rubber straps keep equipment securely in place while vehicle is in motion. Black powder-coated steel resists rust and maintains strength season after season. Add a padlock for extra security while on the job (padlock not included). 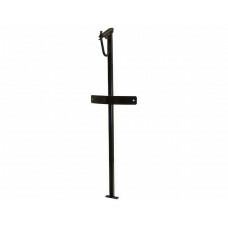 Buyers Products Backpack Blower Rack mounts to any style trailer and stores various models of backpack leaf blowers. The trailer bed stays clear, and the blower is secure while the trailer is in motion. The rack has a spring latch hook for quick and easy removal. Rubber straps fasten the blower to the rack and keep it steady while traveling. Plus the rack can lock with a padlock for extra security while on the job (padlock not included).